Technology changes at the speed of light, and we can help you keep up! For the Future You Want Tomorrow! Our courses are short and inexpensive so you can start slowly and grow at your own pace. Work your way through each course to launch yourself from complete beginner to Full-Stack Web Developer! Our CCALearn.Tech courses are built from our in-person classes at Code Career Academy. Our Full-Stack Web Developer Certificate program let's you study in-person or remotely via Skype for Business. If live classes are what you need, check out our upcoming Part-Time class! 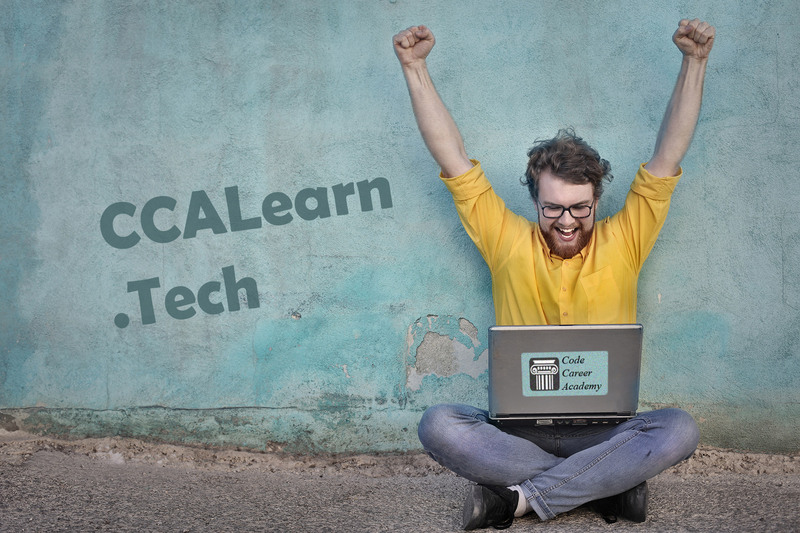 Not everyone can attend our live classes, so that's why we created CCALearn.Tech! We are converting our live program into a series of courses you can take right here at your own pace. Start now with the first 4 courses in our Foundations of Software Development learning path. These classes make up the same content as the Intro to Web Development portion of our live class. Unlike most online classes you can buy, our classes are part of a greater whole that adds up to a complete Full-Stack Web Developer curriculum. Our Foundations of Software Development program will give you the skills to build virtually any web app you can dream up! Click to See Available Courses!